"Emily Ratajkowski surprised just about everyone this year with her City Hall wedding. The model and actress married Sebastian Bear-McClard in New York in February, after just a few weeks of dating. She promptly informed her 17.5 million Instagram followers via the app, but she opted out of such a public announcement for some recent news. Ratajkowski, who appears in the recently released I Feel Pretty with Amy Schumer (who also secretly married her new boyfriend in February), made what looks like her first Los Angeles real estate purchase. The swimsuit designer is the new owner of a 1,650-square-foot house in Echo Park, for which she paid $2 million." * For more information about Echo Park Real Estate and Echo Park sales, contact Echo Park Realtor David Bramante. David has specialized in Echo Park Realty since 2005, helping his clients sell, buy and invest in residential and commercial property. 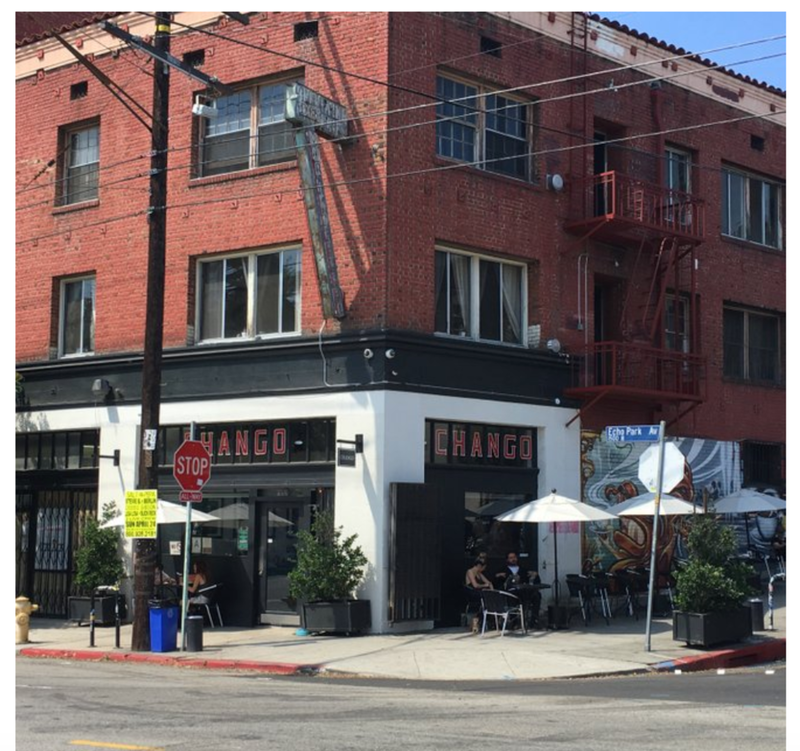 "Chango, one of the neighborhood’s first coffee houses, has closed its doors for good, with the owners blaming the closure on rising operating expenses, increased competition and the need to make costly repairs. The windows of the Echo Park Avenue cafe, which opened more than a decade ago as neighborhood gentrification was shifting into higher gear, were papered over this morning." Australian singer-songwriter Sia Furler is once again looking to change up her real estate portfolio, listing an Echo Park bungalow for sale at $849,000. Three years ago she sold an unusual A.F. Leicht-designed house in Los Feliz and bought a live-work compound in Toluca Lake. The Echo Park house sits above the street and has brick stairs that lead to a covered front porch. Built in 1936, the home has 863 square feet of living space, two bedrooms and one bathroom. > For more information about Echo Park Real Estate and Echo Park Retail for Leasing, contact Echo Park Realtor David Bramante.